We round up the latest Liverpool news and transfer rumours on Wednesday, as the Reds prepare for the weekend visit of Crystal Palace. Henry Jackson lauds the Dutchman’s unrivalled brilliance. “People seem to forget how good he was for us”. What a day for the Reds’ academy products. A ‘Bromance’ has been unearthed at Melwood. Joel Rabinowitz assesses the Reds’ defensive options. 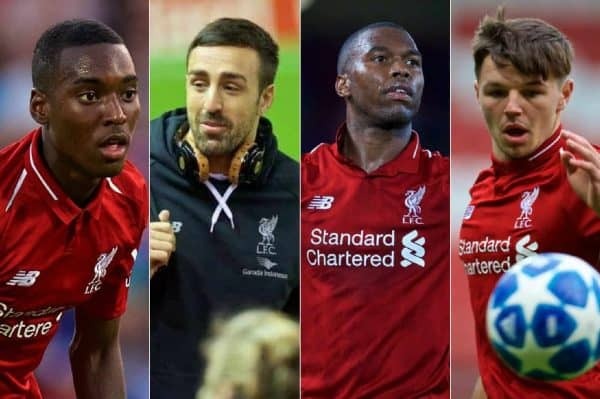 Liverpool haven’t been particularly active in the January transfer market, with just a couple of exits in the shape of Nathaniel Clyne and Dominic Solanke. It’s unlikely that will change, even with defensive injuries, so renewed rumours of a move for Nabil Fekir should be taken with rather more than just a pinch of salt. Calciomercato report that Spurs are ready to rival Liverpool in the move for the French attacker—so, to clarify, that’s Liverpool who pulled out of a deal in the first place and Tottenham who haven’t signed anybody in close to a full year. Got it. In slightly more plausible news, the Mirror report Daniel Sturridge has offers from MLS to continue his career. 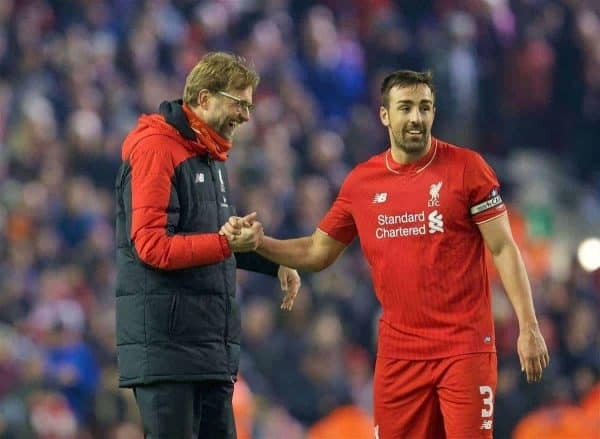 The striker is out of contract at the end of the season and it remains to be seen whether he’ll be offered an extension on reduced terms at Anfield. He still plays a squad role, but if he wants a starting position, heading to the United States would certainly afford him key status. “I was in a meeting with Brighton’s coach and I started seeing lights and lights. I knew something was happening. “When they give you the news you are scared s***less. After that you value everything more, my life changed for the good. “It was very high risk. Luckily I put myself in the hands of the healthcare system and later I had to risk a new treatment in Paris, proton therapy. We wish Jose all the best in his continued recovery. 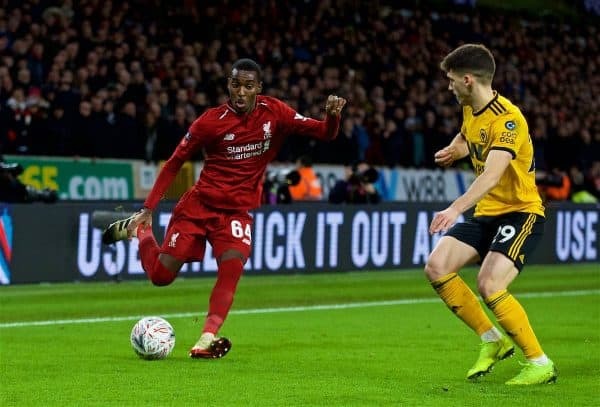 Rafa Camacho has enjoyed a breakthrough month for Liverpool, making his Reds debut in the FA Cup third round defeat at Wolves. The versatile youngster is not resting on his laurels, however, and has vowed to keep up his current work ethic and learn from those around him. “You learn every day. The quality there is very good, it makes you a better player,” Camacho told Liverpoolfc.com. “[My senior debut] was very good, a proud moment obviously. With Trent Alexander-Arnold out injured for around a month, more first-team opportunities may come Camacho’s way, although James Milner is expected to start at right-back for Saturday’s clash with Palace. 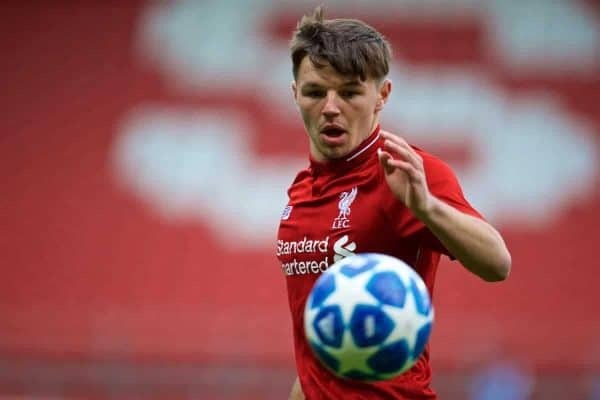 Bobby Duncan is close to returning to action for Liverpool’s U18s, the Liverpool Echo have confirmed. The young striker picked up what has been described as “a nasty training ground accident”, in which he injured his nose after being elbowed by a teammate. It was the reason Duncan didn’t feature for the Reds’ U23s in Monday’s 1-1 draw with Brighton, with strike partner Paul Glatzel named on the substitutes’ bench. He is expected to be fit for next Monday’s FA Youth Cup fourth round clash at home to Accrington Stanley, however, which takes place at St Helens’ Totally Wicked Stadium (7pm GMT). It was recently revealed that Crystal Palace goalkeeping veteran Julian Speroni will start for Palace at Anfield, with Wayne Hennessey and Vicente Guaita both injured. The Guardian report that the Eagles are on the verge of bringing in Sao Paulo stopper Lucas Perri on loan until the summer, with a view to signing him permanently. 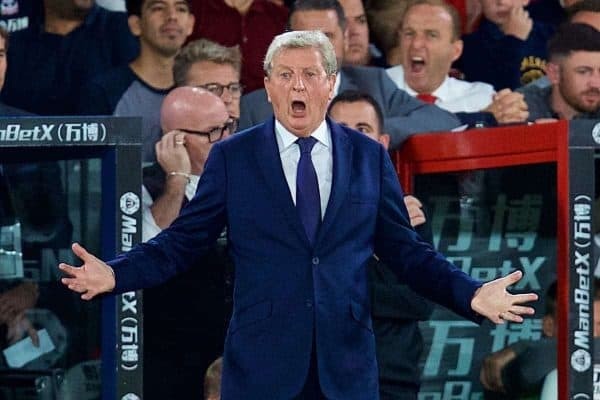 It is highly unlikely that he will make his debut on Saturday, but Roy Hodgson may not completely rule it out, with Speroni now 39 years of age. Just watch Perri come in and have the game of his life!